By 5:00 am on Friday, I had two emails asking me if it was really true that American Airlines is going to stop flying its Tel Aviv - Philadelphia route. As a Platinum frequent flier with 500,000 miles on American, I have a small stake in that decision. Unfortunately, the answer appears to be yes. 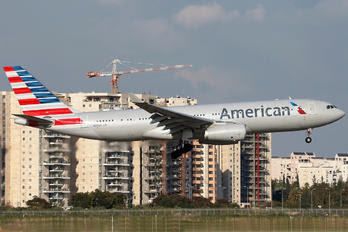 American Airlines announced Friday that it will close its Tel Aviv-Philadelphia route in 2016. The decision was made based on financial considerations, the airline said. The last direct flight from Philadelphia to Tel Aviv will be on January 4, 2016. The final Tel Aviv to Philadelphia flight will take place the next day. Financial considerations? Like the last time when American merged with TWA and dropped JFK - Tel Aviv, which was rumored to be the most profitable route in TWA's system? Well yeah, financial considerations. Dormant complications between former Trans World Airlines employees and American Airlines are rekindling after American merged with US Airways, which currently operates flights from the United States to Israel. The tension between the former workers and the airline began when American acquired TWA’s assets in 2001 and discontinued service to Israel. According to newspaper reports at the time, the move left over 75 people without jobs and pension benefits. The situation spurred a nine-year legal battle between the former TWA employees and American, which was settled four years ago in court. TWA operated non-stop flights from the U.S. to Israel for over a half a century before it was forced into bankruptcy. On 11/19/13 I made a number predictions about the American-USAirways merger. Several have already come true. The American OneWorld round-the-world award chart was killed. USAirways started collecting fuel surcharges on British Airways and killed their lucrative off-peak awards. American and El Al ended their relationship. And in that same post I wrote that the unresolved TWA pensions may well doom the Philadelphia-Tel Aviv route for American. American still owes Israeli ex-TWA employees over $15 million. However American is saying that the reason for the cancellation is that the route has always been a money-loser. That’s rather curious as USAirways’ president Scott Kirby has called the route among the most lucrative in their system. Newark-Tel Aviv was also publicly called the most profitable in Continental’s system in the past. Of course profit is a funny thing. United CEO Jeff Smisek lied about Cleveland’s hub not being profitable when the real reason for the cuts was a severe regional jet pilot shortage. But that couldn’t be the stated public reason because that would make United liable to pay millions of dollars to Cleveland and Ohio for pulling out against their promise to keep the Cleveland hub alive as long as it remained profitable. United is even adding flights back to Cleveland , including several nonstops to Florida and more routes will be returned as well according to sources. Profit can easily be manipulated by attributing various costs to the flight. And no doubt the cost of paying back the ex-TWA workers is a factor here. Or perhaps American doesn’t want to pay off TWAs debts to avoid setting a precedent of paying off TWAs debts when they only purchased TWAs assets in the first place? At any rate, American is stating that they will not be serving Tel Aviv from other hubs. Both their JFK and Miami routes are natural fits for service to Tel Aviv, so if American’s issues are ever resolved I’d expect routes from those hubs rather than Philadelphia. American will be contacting customers booked to fly the Philadelphia-Tel Aviv route next year with options for alternate arrangements or a refund. So it's the Israeli employees after all? I've seen that pension liability estimated at $15-20 million, which is a lot of money for 75 employees - about half a million dollars each. There's no Pension Benefit Guaranty Corporation here like in the US. On the other hand, one has to wonder how a bunch of ticket agents (hint: There were no pilots based here) built pensions that size. By the way, one of the upshots of that episode is that when you check in at the airport with any airline other than El Al, the person checking you in is almost always an airport employee and not an employee of the foreign airline. How do I know that? Because I've had enough conversations with British Airways and American (USAir) agents in the last two years. When they tell me they've never been to London or the US, it's pretty obvious they're not airline employees (the biggest perk of being an airline employee is free airfare). In any event, at least one Philadelphia Congressman is furious about this. "I am strongly opposed to the decision announced today by American Airlines to cancel this flight route. It is a critically important route, both for the constituents in my district who travel between Philadelphia and Tel Aviv, and also for the growing business relationship between our city and Israel. The effects of this decision will not only hurt tourism between our two countries, it will have a negative impact on our economies. The ease and accessibility offered by this flight had significant long-term potential to stimulate growth and communication. "I hope to work with American Airlines to see if there is an alternative solution to cancelling the route and will seek a meeting with the appropriate officials in the coming weeks to discuss options to keep this flight operating." Okay, so it's kind of funny to see Chaka Fattah making such a fuss about this. His last appearance on this blog was here. 1. There was no mileage for American frequent fliers on USAir until quite recently. Until March of this year, I had never flown the USAir flight. I've flown it once to Philadelphia and twice to Tel Aviv since March. Where were all my other trips? (I'm going for the 5th time this year later this month). Mostly British, at least until London, but in the last two years I have also flown out of Israel on Iberia, FinnAir and Air Berlin. 2. Nearly all of El Al's European flights now have American code share numbers. I can accumulate mileage that way... but I can only do it on the way back to Israel if I can limit myself to one suitcase.... (Fat chance). 3. Other than American, the only airlines in the OneWorld group that come in here that give full mileage credit for any leg into or out of Israel are British and FinnAir. Iberia gives you 80% in coach on Madrid-Tel Aviv flights, and Air Berlin gives as little as 25% depending on how much you pay for your ticket. By the way, I flew FinnAir Tel Aviv - Helsinki - London either last winter or the winter before and they were a pleasure. 5. British and Iberia both charge huge fees for 'free' travel - $350 per leg the last time I checked. But as an elite flyer I may be exempt from that which will give me opportunities to use my mileage. 6. One thing I will NOT do is switch to El Al (yes, I have a number, but I rarely use it). I'm not flying an airline that takes away my mileage every 18 months whether or not I fly. I'd rather accumulate my miles and use them for big family trips and the like. One issue with American miles: they do have an expiration date, I believe (like El Al). BUT... last yr, during Cast Lead, my wife was due to fly back home to the US on USAIR, and they stopped flights due to Hamas rocketing. She was switched to El Al, and resolved to ONLY fly El Al in the future. She had a wonderful flight, and claims that El Al treated the passengers better than USAir.